Feed your kitty’s wild side with the high-protein nutrition of Blue Buffalo Wilderness Wild Delights Chicken & Salmon in Tasty Gravy Grain-Free Canned Cat Food. 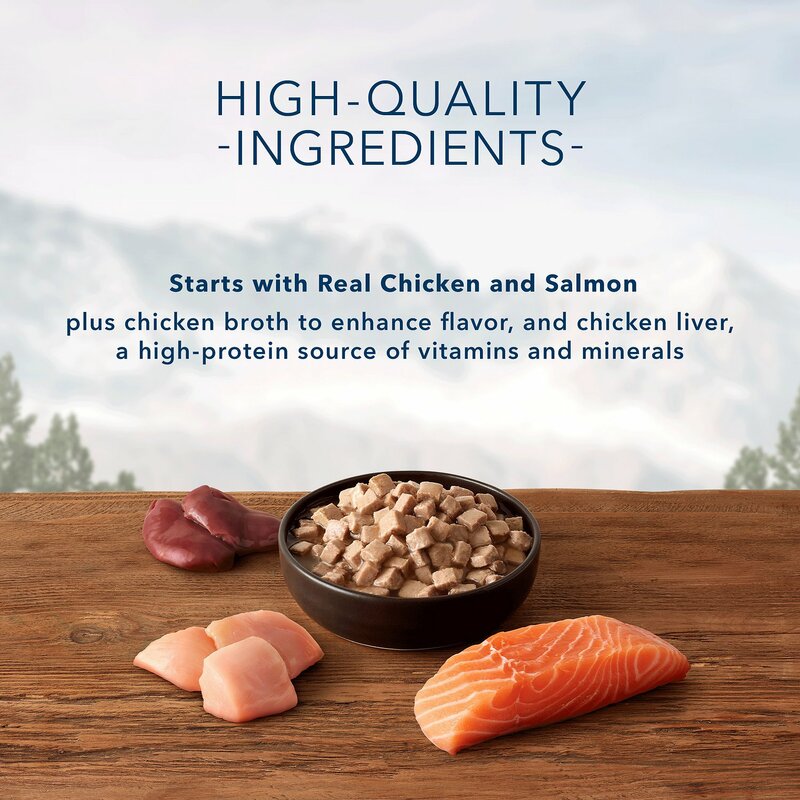 Made with real chicken and salmon as the top ingredients and zero grains, wheat or by-products, it packs a powerful protein punch to support your little hunter’s wild pursuits and satisfy his cravings for meat in every bowl. It’s loaded with vitamins, minerals and taurine to help maintain overall health, and naturally-sourced omegas from fish oil to nourish a healthy skin and lustrous coat. Plus, since it’s made with broth-based gravy, it helps keep your pal hydrated to support digestive and urinary health. 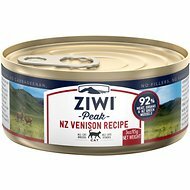 Serve up as a complete meal or delicious kibble topper and watch his inner lynx lick his whiskers with every bite. 100% grain-free recipe features protein-rich chicken and salmon as the top ingredients to support healthy muscle growth and development. Chicken, Chicken Broth, Water, Salmon, Chicken Liver, Egg Whites, Potato Starch, Natural Flavor, Guar Gum, Sodium Phosphate, Dried Egg, Potassium Chloride, Salt, Vitamin A Supplement, Thiamine Mononitrate (Vitamin B1), Riboflavin (Vitamin B2), Niacin (Vitamin B3), D-Calcium Pantothenate (Vitamin B5), Pyridoxine Hydrochloride (Vitamin B6), Biotin (Vitamin B7), Folic Acid (Vitamin B9), Vitamin B12 Supplement, Vitamin D3 Supplement, Vitamin E Supplement, Iron Amino Acid Chelate, Zinc Amino Acid Chelate, Cobalt Amino Acid Chelate, Copper Amino Acid Chelate, Manganese Amino Acid Chelate, Sodium Selenite, Potassium Iodide, Taurine, Choline Chloride, Calcium Carbonate. Feed 3 cans per 6 - 8 lbs of body weight per day. Like several other reviewers my cat can't get enough of this flavor. In fact, it was the other reviews that convinced me to try. She's very vocal when she's ready to eat. Her plate is spotless when she finishes. Not so with the previous brand. I was a little concerned that she would get finicky with the same flavor every day but again, not so. Definitely recommend giving it a try. 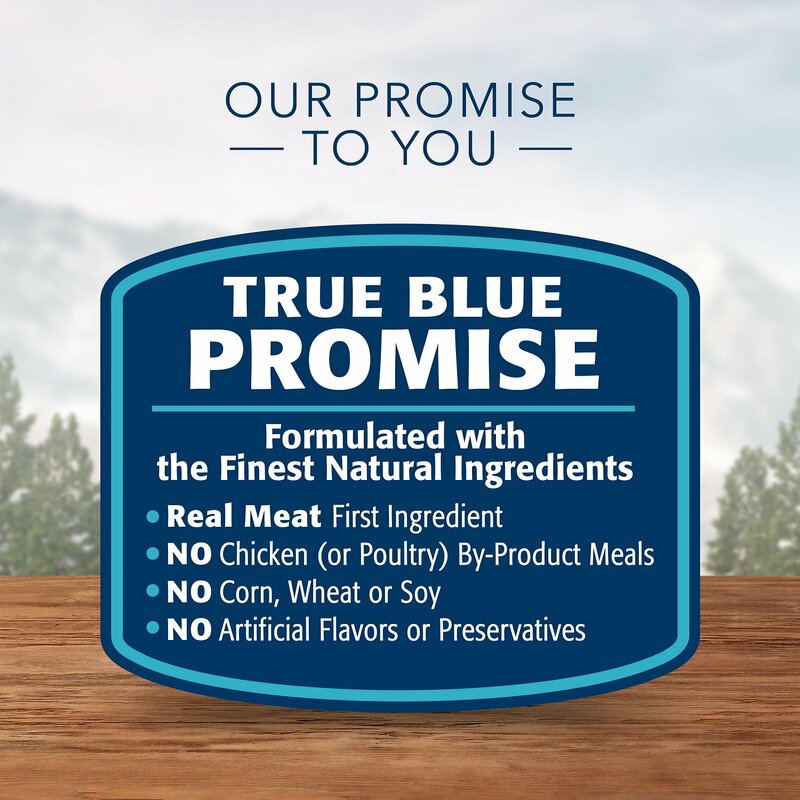 My cats were getting tired of the Blue Buffalo Healthy Gourmet canned salmon, so I bought them a few cans of the Wilderness canned chicken and salmon and they are licking the bowls clean again. As other reviewers have stated, the cats seem to love the gravy. My bengals lick up the gravy right away and eventually will eat up all the chunks. I've noticed a difference in their fur with just one month of exclusively feeding them this variety of canned food. It is much softer and sooo shiny! In addition, they both needed to lose about 1/2 lb, and we achieved this as well. The headline says it all! Little Mama loves this stuff! And, of course, she runs things around here; I just pay the bills! What else is new?! You guys and girls are simply the best! All 4 of my cats love the flavor and they actually eat the chunky pieces and not just lick off the gravy. I bought a number of different cans of wet food to try as the two of them were getting tired of the Blue Wilderness Chicken and Turkey flaked food. This item was the winner, which surprised me as they have not before shown a preference for seafood. They love this and love the gravy. This is the only thing the cat will consistently eat. 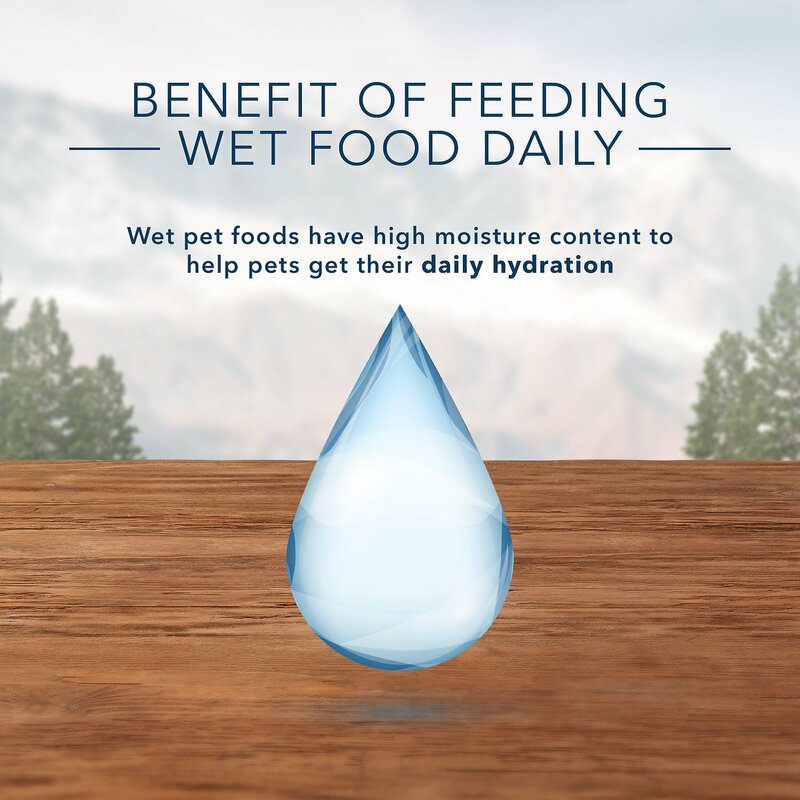 We have tried lots of different brands, flavors and consistencies of wet food. 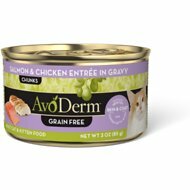 Our cat might be willing to eat one can, one-time of something else but, this is the only food and flavor that he will consistently eat. We also noticed that his fur became much softer once this became his food of choice. One of my cats seemed sick of this one (a/k/a not eating it all) before the pallet was gone. I don't think I'll buy it again but only for that reason. i love basically any BW product.